What is a Pooling Application before the Oklahoma Corporation Commission? Many mineral owner receive paperwork that looks like a lawsuit with the name of the Oklahoma Corporation Commission. The application seeks relief called pooling. This article is designed to explain some basic about the process. This is general information and should not be used as a substitute for legal advice. What Does “Relief Sought Pooling” Mean? Sample heading for an Oklahoma Commission Case. Quite simply, this is a process that allows a company to drill for oil and gas even if they don’t have leases (permissions) from everybody that owns an interest in them. Basically, it is almost impossible for everyone to agree to drill or to agree upon the company who should take on that task. The company who filed the “Pooling Application” is seeking governmental permission to drill. 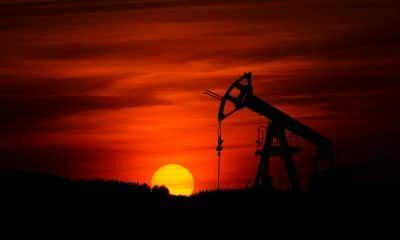 If an interest owner has not signed a lease, the company that applied will be required to pay the mineral interest “Consideration” or Bonus in the form of a lump sum plus a fractional interest in the oil and gas produced from the well or wells. Is This the Same as “Forced Pooling”? Why did I get This Application? The most likely reason you received the application is because your minerals are not subject to an active lease. Either there was never a lease or a previous lease expired. What is the Oklahoma Corporation Commission? The Corporation Commission is an Oklahoma Agency that regulates various industries such as utilities, railroads, pipelines and oil and gas production. Why did I get This Notice From the Corporation Commission? You probably have a mineral interest in an area in which the company wishes to drill. Prior to making the application the company is supposed to identify all discoverable mineral interest owners. The company is required to search records including land records, probate cases to identify those owners. If you receive notification from any Oklahoma Corporation oil and Gas case, there is a strong likelihood that you have a mineral interest in that property. Enter and Appearance and Notice of Protest. This will insure that you receive all notices in the case. Then there is the issue of what you are to protest. You could protest the applicant, the Consideration or Bonus to be awarded owners or other issues. You would need to be prepared to have evidence to support your position. This may include lease offers you or neighbors have received. You would probably need an expert such as a Landman. This strategy may be best utilized by an interest holder with a large amount of acreage at stake. This may enable you to obtain a lease on more favorable grounds than previously offered. Negotiate a Lease. You can attempt to negotiation a lease with the applicant or another entity. Monitor the Case. This is recommended no matter what else you do. Once an order is entered you may have as little as 20 days to make the best election. See all filings in the case here. Take No Action. You are not required to take any action. If you fail to do anything you will still own your minerals, however once an order is entered it will be subject to the forced pooling order. In other words, you will not lose your property but will become subject to the final order. The order will require the company to pay you for production. Once a final order is entered you will receive an order. It will include several Bonus or Consideration options. These tend to be confusing. If you don’t make a timely an election, the order will authorize the company to assign you the smallest royalty. Can I Still Sell or Lease my Interest? Yes, you can sell your interest before, during or after the pooling application. However, companies do not typically go to the expense of a pooling application unless they intend to drill. Sort of. The company is not asking that your pay anything. However, this is a legal process that can affect your interest namely once pooled you will not be able to lease your property. Also the Commission will determine the bonus and royalty that you will receive. It is therefore important to understand the process. What if the Person Named on the Notice is Deceased? If the person named as a respondent is deceased then his or her heirs or persons named in that persons estate plan (Will or Trust) should immediately take steps to insure that they are recognized as the owners. This will often mean filing a probate. Part of the probate process is to name a representative of the estate who can have authority to deal with the property. It is preferable that this occur prior to the final order so that the heir will be able to make an election. How Long Will the Pooling Be Binding? A pooling order will state the time that operations for drilling a well must begin. If the drilling has not begun then the mineral interest owner is released from that obligation. The company must still pay the cash bonus or consideration. The order can last indifferently if the well is drilled and there is continued production. Do I Have to Appear at Hearings? Can I Fight This? While you have the right to appear and represent yourself, the process is difficult to understand. Unless you have significant mineral holdings at stake, it is probably not worthwhile to hire an attorney to attend the hearing. In most circumstances you are unlikely to be able to prevent the drilling of a well. What is “Relief Granted and Election Period”? This means that you can invest in the well. Instead of paying you anything you agree to pay your pro-rata share of the costs of drilling the well. Instead of a royalty, you will be paid a pro-rata share of the net revenues. So if you own 40 acres in a 640 spacing unit, you will be responsible for 1/16h of all the costs but be entitled to 1/16th of all of the net revenue. Your decimal interest in the well would be .0625. Cash Consideration a “lease bonus” it is a onetime payment. Usually three or more Cash options are offered. A small royalty interest will have larger cash option. Conversely, a large royalty will have a smaller cash option. How Long do I Have to Make My Election? A pooling order shall contain language to the effect that the respondents shall have at least twenty (20) days from the date of the order in which to communicate an election to the applicant or other responsible person as to the option selected. Is it Expensive to Have My Options Reviewed? No, this can be done on a flat fee basis. What if I Don’t Elect an Option? If an owner does not make an election or fails to make it timely, then the order will typically state that the owner has deemed to have elected the highest cash bonus (consideration) and the smallest royalty interest. By law the company is only required to give you 20 days from the entry of the order so time is of the essence. What is a Multiunit Horizontal Well? A horizontal well is the technology that allows greater production from a mineral producing zone. Instead of simply drilling straight down, the pipe is curved into an oil and gas formation to have the maximum contact and greater production. Multiunit means a well that will send casing pipe in different directions from one rig. What is a “Well Location Exception”? In Oklahoma wells must be a certain distance from each other. A Well Location Exception seeks a variance because of geography, topography or economics. Permission must be granted by the Commission. This is general information and should not be used as a substitute for legal advice.